Can we have the "select a part or assembly" dialogue appear as soon as you click "insert view"? It is annoying to need to click a button to open a dialogue, to then click another button to open the part selection dialogue. This shouldn't have any negative impact, as of today you can still use the insert view dialogue as normal even with the select part dialogue open at the same time. My reasoning is, 99.999% of the time, I'm inserting a new part. The rest of the time I'm projecting from an existing view anyways. 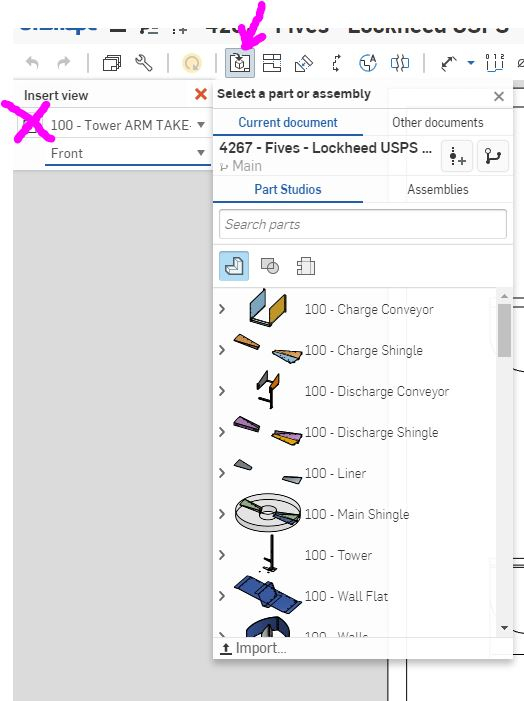 Since I've been using OnShape drawings, I have only not needed to select a new part while creating a view about 2 times.